25 Years of "Swords into Plowshares." An analysis of the Lubavitcher Rebbe's predictions and how they have come to pass. Who is correct, the president or the scientist? We ask this question against the backdrop of 25 years of Swords into Plowshares. It was 25 years ago this week that the Lubavitcher Rebbe zts"l said his famous sicha (talk) identifying the declaration of the heads of state meeting at the UN, announcing a new era of peace and mutual cooperation among the nations of the world, as the beginning of the fulfillment of Isaiah’s prophecy that in the Era of Moshiach the nations of the world will beat their swords into plowshares. Over the past 25 years we have reported extensively at our annual Moshiach and Science conferences (in the U.S., Canada and, in recent years, in Beer Sheva) on Swords into Plowshares (SIP) type developments: military technologies and resources transformed for peaceful uses, nations that have given up their militaristic agendas and now pursue peace, and quoted extensively from the annual Human Security Reports showing that, when you do the statistics, the world has in fact become more peaceful. So why does Gorbachev say, “It all looks as if the world is preparing for war?” Gorbachev is now 85 years old but back in the 1980s he played a major role in the transformation of Russia that led to the Swords into Plowshares declaration. There is a well-known story that when Gorbachev first came to power the Rebbe called in Professor Branover (Yirmiyahu ben Devora – we mention him for a speedy and complete recovery from his illness) and told him to start working on a project to provide housing and employment in Israel for the thousands of Russian Jews who will soon be coming out of Russia. Branover was shocked by this request since nobody knew of any such event on the horizon. So he contacted his friends in the Soviet Union to see if they knew of any indication that the Jews would soon be leaving Russia. They told him that there was no indication of any such thing and that in fact from all indications it was expected that things would get worse under Gorbachev. Branover wanted to be sure that he understood the Rebbe correctly so he went back to him to verify the instruction. The Rebbe told him again that very soon thousands of Jews would be leaving Russia, that there must be housing and employment ready for them and that Branover should work on this project with such an intensity that he would even dream about it at night! The rest is history: Jews came out by the thousands, many settled in Israel and Branover had built a community with housing and employment for many of them. But that’s not the end of the story. Years later, after the communist regime fell and Gorbachev was out of power, he came to visit Israel. The Israeli government assigned Branover to show him around. 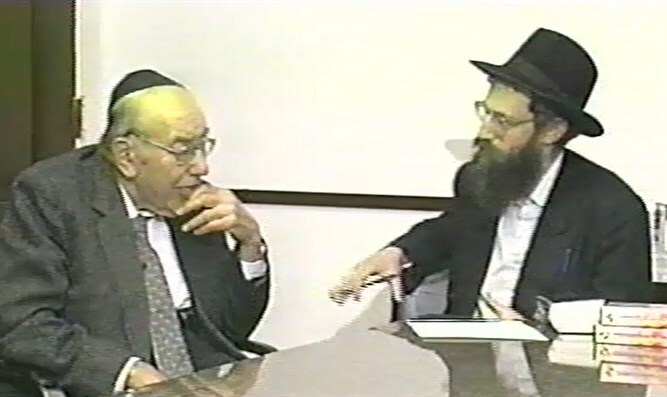 At one point Branover told Gorbachev about the Rebbe's prediction that soon the Jews would leave Russia by the thousands. Gorbachev was shocked. He couldn’t believe that any person could have known this. Gorbachev said that he himself had no plans to make major changes when he came to power. In fact, he said, he had no idea what he was going to do. But he wanted to preserve communism. Let’s first take a look at the Swords into Plowshares sicha and see what we should expect to see in the world after 25 years of SIP. Then we will take a look at some of the data that will tell us what has been happening and where we are holding. Then we can decide if the world is preparing for war or for a chess game. So to see how Swords into Plowshares has progressed over the past 25 years, we should focus primarily on how this transformation has been implemented by the 5 major world powers. Over the years we have documented extensively specific transformations in each of these countries, but now let’s see if we can quantify the overall transformation for each of these countries. 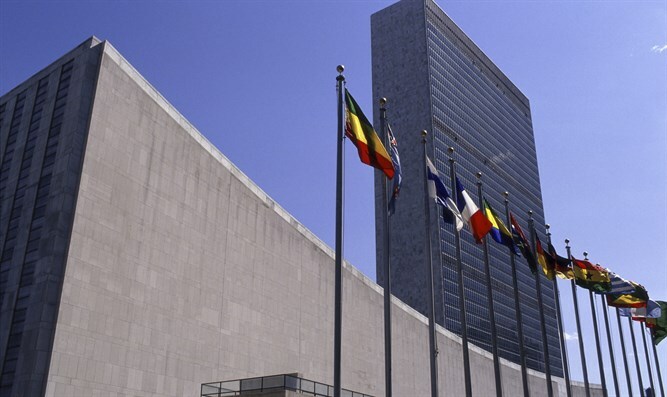 There are many organizations and institutes—including the UN itself, when it’s not busy criticizing Israel—that have been studying this, and that fact alone is a sign of how the world is changing and what the world now expects from itself. In recent years, the Bonn International Center for Conversion (BICC), whose reports we have used extensively over the years, has published the Global Militarization Index (GMI) which is a measure of how militarized a nation is. It evaluates over 150 countries using a complicated formula which considers: military expenditures as a percentage of GDP, military expenditures relative to health spending, military personnel in relation to the population and heavy weapons in relation to the population. The Stockholm International Peace Research Institute (SIPRI), however, has data going back to 1992. Their data considers military expenditures as a percentage of GDP for numerous nations throughout the world. We have generated a graph to show this % for the 5 major world powers. Surprise again! What do we see? In all cases except for Russia, this Militarization Index has gone down. This brings us to the alternative theory—the chess game, which, I think, is a good model for what’s going on in the world now. Firstly, let’s ask the basic question: Since we are in the era of Swords into Plowshares, should there be any military conflicts in the world at all? nor shall they learn any more war. It would seem that the order should be reversed. First it should say that the nations will not raise swords against each other; then, since they won’t be fighting each other they won’t need their weapons any more so they will beat them into plowshares. From the fact that beating the swords into plowshares is stated first, we see that this process will begin even before all wars cease. Then, as a further development, “nation shall not raise a sword against nation,” i.e., there will be no more war. And finally, “nor shall they learn any more war.” They will not even maintain a readiness for war. There will be no military exercises, no military training or even any computer simulations of conflicts. The game of chess is all about strategy, positioning, projecting power, exerting pressure and bluffing. In my opinion—I agree with the Defense Department scientist—that it’s all about positioning and projecting power rather than preparing for war. Case in point: The controversy over the islands in the South China Sea, claimed by China as well as other nations. A recent Bloomberg News report analyzes this situation and explains that while there is a possibility of this leading to war, it’s unlikely because China does not want to interrupt the 5 trillion dollars in trade that passes through the area every year. It’s all about posturing. One might even say that the last line in Isaiah’s prophecy, “nor shall they learn any more war” means that they will stop playing these chess games. Rabbi Yisroel Aryeh Leib Research Institute on Moshiach and the Sciences, of which I am director.